More than a century after the Emancipation Proclamation began the long and halting process of extending equal rights to African Americans, Congress passed, and President Lyndon Johnson signed, the Voting Rights Act of 1965. This landmark legislation, which ensured that all Americans could participate in government, came at a price. A heroic struggle unfolded in Alabama as civil rights advocates, both black and white, led by Dr. Martin Luther King, Jr., fought through peaceful means for the right to vote. 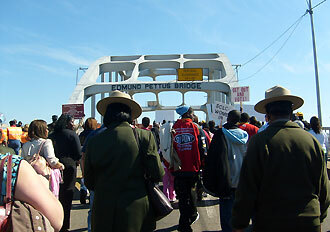 You can follow in their footsteps today on the 54-mile Selma to Montgomery National Historic Trail. 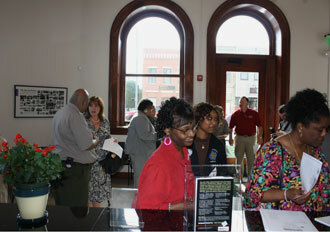 Your experience begins in Selma, Alabama. National Park Service rangers and volunteers staff the Selma Interpretive Center, which opened its doors to the public in March 2011 and affords an outstanding view of the Edmund Pettus Bridge. Famous as the scene of Bloody Sunday — when local police and Alabama state troopers responded to a voting rights march with tear gas, nightsticks, and whips — the bridge is now the site of Selma's Annual Bridge Crossing Jubilee, which commemorates events of 1965. On Martin Luther King, Jr. Street in Selma, you can view the First Baptist Church and Brown Chapel African Methodist Episcopal Church, which served as meeting places for the Student Nonviolent Coordinating Committee, marchers, and others involved in the struggle for suffrage. On the same street is George Washington Carver Homes, a housing complex where many Selma marchers lived and where marchers and civil rights workers from out of town stayed. 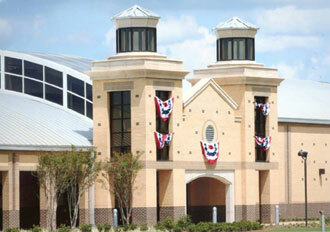 At the midpoint of the Selma to Montgomery trail, in White Hall, Alabama, you can visit the Lowndes County Interpretive Center. Watch a 25-minute film inside the theater and connect stories and events presented in the museum exhibits and photos and on the outdoor walking trail. Park rangers are available for orientations, talks, and tours. Your last stop on the Selma to Montgomery NHT will bring you to the steps of the Alabama state capitol in Montgomery, where Dr. Martin Luther King, Jr., delivered one of his most memorable speeches, “Our God Is Marching On.” You can view Dr. King's former church, Dexter Avenue Baptist Church, across the street and envision what it would have been like to march for five days and four nights with him and more than 25,000 other Americans committed to the cause of civil rights. The Selma to Montgomery trail is open year-round and accessible to several other attractions in Dallas, Lowndes, and Montgomery counties, which make great day or half-day trips. We look forward to your visit and the chance to share a crucial chapter in American history with you.